"Cradled between two towering mountain ranges wrinkled and streaked with vivid shades of brown and rosy tan, is the famous Death Valley. This vast treeless alkali plain extends north and south for about 130 miles and averages about a dozen miles in width. 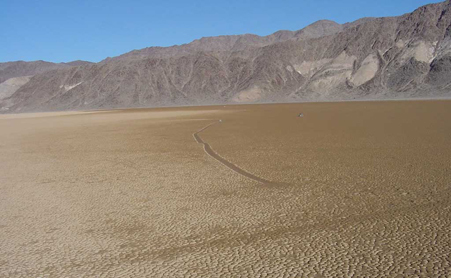 It is the lowest hottest and driest place in North America. Temperatures annually rise to more than 120 degrees. The Indians named this gristly playa, Tomesha - ground afire. Ever since California-bound emigrants traversed this dazzling white valley in 1849, exaggerated tales of blazing temperatures and hidden riches have come from here. Apocryphal stores tell of dozens and even hundreds of animals and emigrant men and women dying in the valley." This is a 4 day trip covering the north and west end of Death Valley, Saline Valley and Eureka Valley. 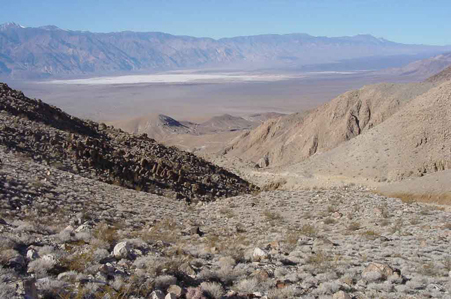 (Saline Valley and Eureka Valley are also part of the Death Valley National Park). We will start near Ridgecrest, California. The plan is to camp each night. 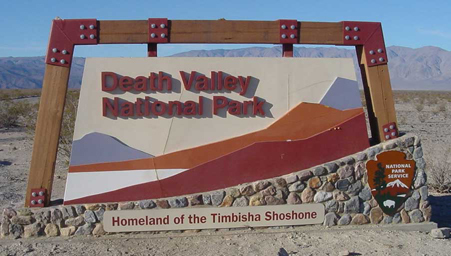 Death Valley is quite remote with long distances (and drive time) between destinations. We will spend a lot of time driving on the back roads and camping just to explore where they go and to say we did it. We don't stop as a rule at places that are paved and you can reach by passenger car. There is very limited cell phone coverage. There are opportunities to buy expensive gas. Just don't rely on a gas station to be there when you need gas - bring extra. We will avoid the paved road as much as possible. Expect plenty of washboard roads (and we mean extreme washboard that will shake every part of your vehicle, gear and shocks). This is not the trip for you if you abhor washboard, dust and scenic beauty. 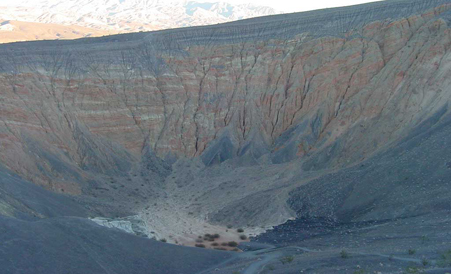 Death Valley abounds in history, mines, ghost towns, and natural wonders - like moving rocks. It will not be possible to see it all even thought it will seem like it. At least one night, we will camp next to the warm springs. Bring a swim suit so you can enjoy the pool. However, it is clothing optional so make your own decision! Permitted trip with Death Valley National Park.